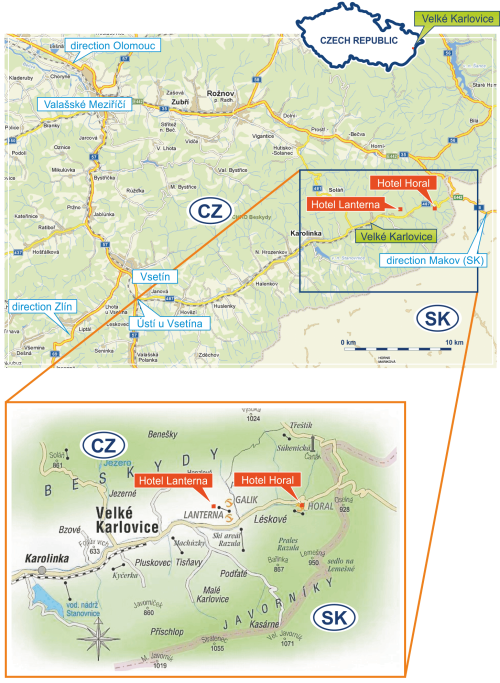 The village of Velké Karlovice is located in eastern Czech Republic near the border with the Slovak Republic. The surrounding countryside is hilly with beautiful vistas and is excellent for exploring on foot. 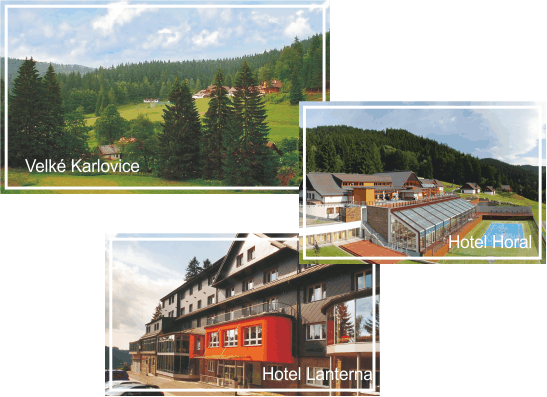 By car Hotel Horal is located approximately 8 km from the crossroads to Soláň (at the beginning of the village of Velké Karlovice). See information map bellow. Car rental is available at all airport. Ostrava railway station is 70 km from Hotel Horal. There are several direct train connections from Prague, Vienna or Katowice to Ostrava. A shuttle bus service will be organized. The transport fee is 100 EUR for a round trip. If planning to use the shuttle bus service, please indicate it on the Registration form. Vsetín railway station is 35 km from Hotel Horal. There are several direct train connections from Prague to Vsetín. A shuttle bus service will be organized. The transport fee is 50 EUR for a round trip. If planning to use the shuttle bus service, please indicate it on the Registration form.